AT&T MVNO Pure TalkUSA has increased the amount of data included with their $34.95 plan from 300 to 500 MB.The plan also comes with unlimited voice minutes, unlimited SMS and 400 MMS. Additional data and MMS are available at $10 for 100 MB and 100 MMS. Pure Talk used to automatically add 100 MB and charge the user $10 when they ran out of data or MMs. But customers now get to choose whether they want their data or MMS to be cut off when they reach 500 MB or 400 MMS or if they prefer to get and pay for overage data as needed. PureTalk USA plan prices include all taxes and fees. Auto pay is mandatory and overage costs are automatically charged to the customer's credit or debit card each month. The table below lists all of Pure TalkUSA's current plans"
1 PureTalk Simple Plan minutes do not roll over. Add on minutes are available at $10 for 130 minutes. Unused add on minutes do rollover but are used before plan minutes. 3 $9.95/month data and MMS addon provides 200 MMS and 150 MB of data. Also available: 300 MB/ 400 MMS for $19.90, 450 MB / 600 MMS for$29.85. Unused add-on data rolls over and doesn't expire. 4 Monthly pay as you go plan, available price points (cost per month/minutes) are $10/130, $20/330, $30/630, $40/1030, $50/1430. Unused minutes roll over. Can be used as a family plan for $5/month per extra line. All lines share the available minutes and texts but data/MMS addons are per line and not shared. Even with the increase to 500 MB, Pure TalkUSA's $34.95 plan is $5/month more than comparable plans from other AT&T MVNOs including Airvoice, H2O and Red Pocket. 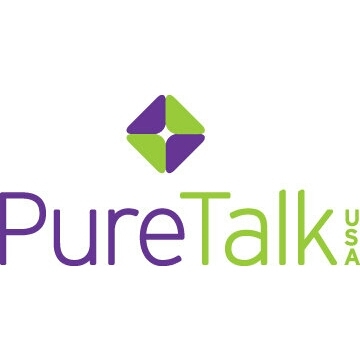 Pure Talk does have a reputation for superior customer service which might be worth $5 a month to some people. But at least they have good plan names. Unlike that company with the Kate, Cate, Sue, Jughead etc plan names that are totally meaningless and detract. Not to mention the constant tweaks to the plan without updatng the names. You almost have to circa the names to understand what the plan covers. Huh? PureTalk rarely changes their plans. How do you "circa" a plan? Trying to figure out what that means, myself. I hope it doesn't involve clowns, tamed lions, a ringmaster, and a big tent. I think he is complaining about RingPlus and their changing plans. He sure choose a strange place to leave a comment about RingPlus. PT's $40.95, 1GB plan is close to H2O, RP, and others, and I put myself in the camp of someone willing to pay a bit more to get reliable customer service.